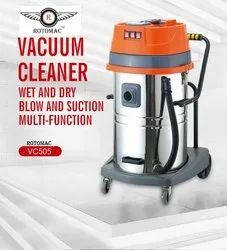 Leading Manufacturer of 30 ltr wet & dry vacuum cleaner, 80 ltr wet & dry vacuum cleaner rotomac, vacuum cleaner 15l, vacuum cleaner 2 motor, wet vacuum cleaner and 35 ltr wet dry rotomac vacuum cleaner from Bengaluru. 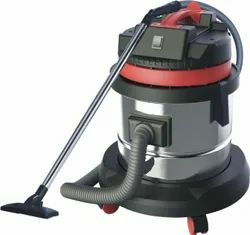 We are offering 80 Ltr Wet & Dry Vacuum Cleaner to our valuable clients. the motor area, and also to reduce the noise levels. fixed wet floor nozzle, etc. 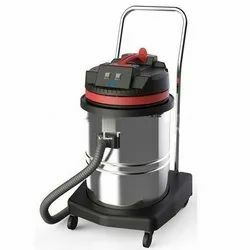 We are offering 70 Ltr Wet & Dry Vacuum Cleaner to our valuable clients. 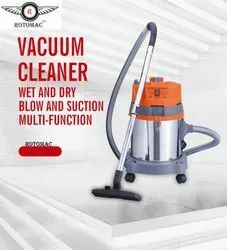 We are offering a wide range of Wet Vacuum Cleaner that is rendered in accordance with the guidance of experienced professionals as per the international quality. Our products are available in high-quality clean up of capacious and huge industrial tanks that are used for various storage purposes and do require a timely cleanup. Our products are made and developed from high-quality materials. The 6 stage water tank clean process has been developed through research and development to arrive at a fool-proof process that involves the latest state-of-the-art imported equipment and proprietary anti-bacterial agents that are safe, effective and eco-friendly. 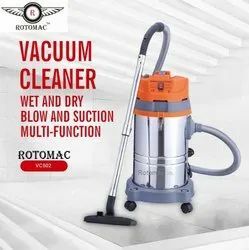 In the First stage of Mechanized Dewatering of the water tank clean process, the Manhole and surroundings are cleaned off dirt, mud, and algae after which the water below the foot-valve level is pumped out using special de-watering equipment. In the Third Stage of High Pressure Cleaning the Walls & ceilings of the tanks are thoroughly cleaned using special high-pressure jet cleaners which rid of the walls off calculations, algae and all contaminants which cling on the internal surface of the tank helping the microbiological contamination to grow. 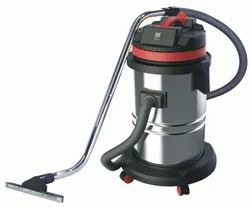 In the Fourth stage of the sludge removal process, an Industrial Vacuum Cleaner is used to remove the resultant contaminants, making the tank absolutely speck-free. In the Fifth very important Stage of Anti-bacterial treatment, the walls & ceilings are made totally sterile from bacterial attack using specially developed from Antibacterial agents. And finally, in the Sixth Stage of the water tank, clean process final sterilization and disinfection is done using UV Radiation by a specially developed UV Radiator which is used to kill any suspended or floating bacteria remaining in the tank. This full procedure makes the tank 100% Bacteria free and makes it perfectly fit for storing clean drinking water. The above process is common for both the Underground and Overhead drinking water storage tanks and can be used for all types of tanks like Concrete Tanks, Fabricated Steel tanks, Plastic (Sintex Type) Tanks etc. Our professional system also includes maintaining of computerized records of all the tanks which have been cleaned and scheduling of next cleaning operations etc. thus removing the total responsibility of the residents of any particular building to make their life totally healthy and tension free. 35 Ltr Wet Dry Rotomac Vacuum Cleaner with the best quality-price ratio. 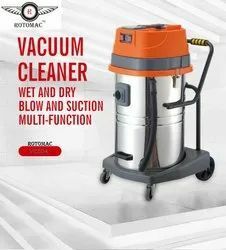 Powerful 20 Ltr Wet, Dry & Blower Industrial Vacuum Cleaner engineered for tough jobs (shop floors, workshops, exhibition areas, courtyards, etc.). 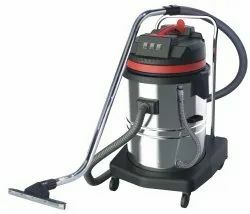 It vacuums dust and liquids as long as they are not flammable. Steel drum, blower attachment and trolley with integrated tool storage. 100% antistatic ABS resin motor unit.